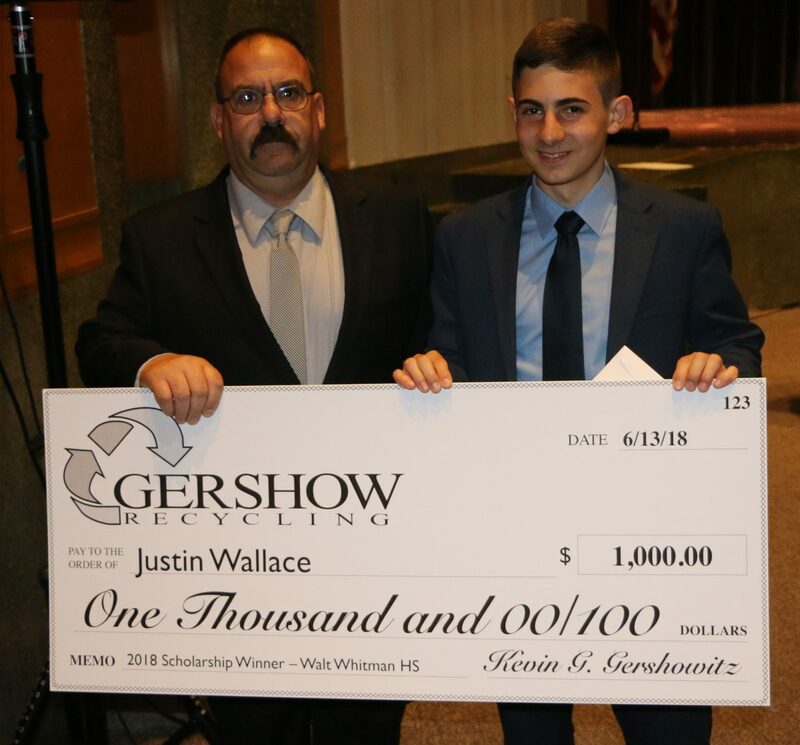 Richard D’Angelo (left), Manager, Gershow Recycling, poses with Justin Wallace (right), a member of Walt Whitman High School’s Class of 2018. Mr. Wallace was awarded a one-time scholarship in the amount of $1,000 from Gershow Recycling. As a leading environmental recycling company, Gershow awards the competitive scholarship to graduating seniors who have displayed exemplary efforts in the fields of environmental science or engineering while in high school and plan to continue to pursue higher education degrees in either of these areas of study.